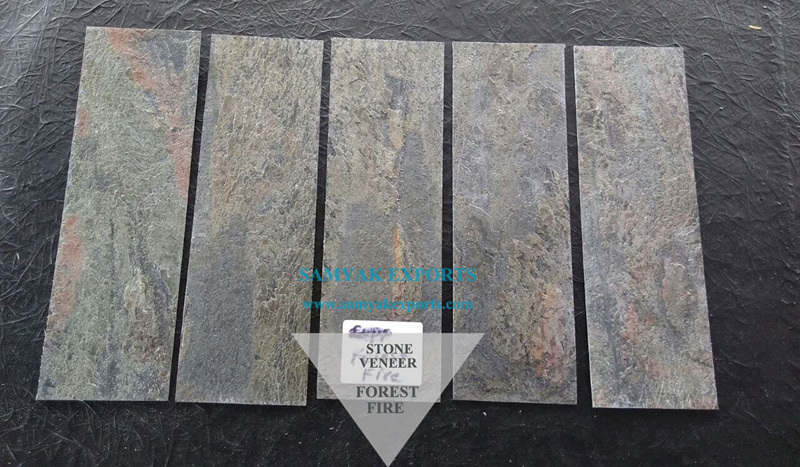 Design your dream space with our stone veneer products. 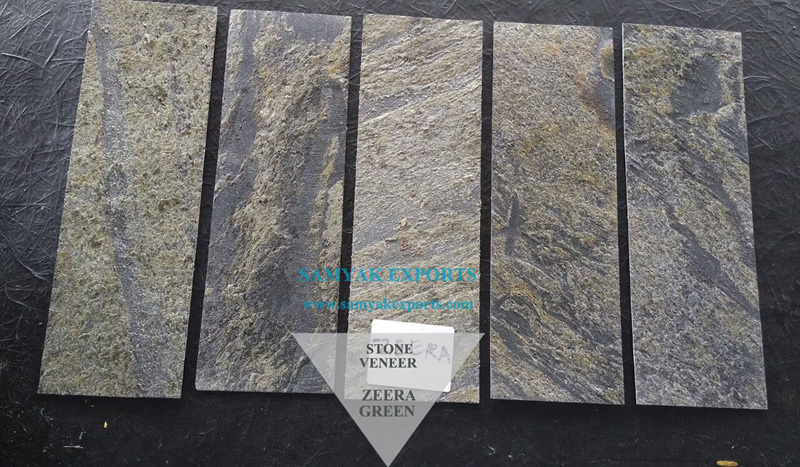 Welcome to Samyak Exports. 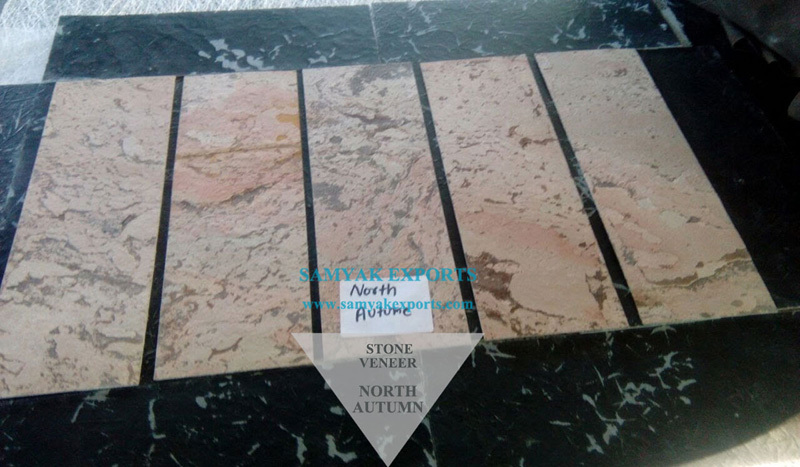 We are specialist in supplying lightweight and flexible, 100% natural, stone veneers. 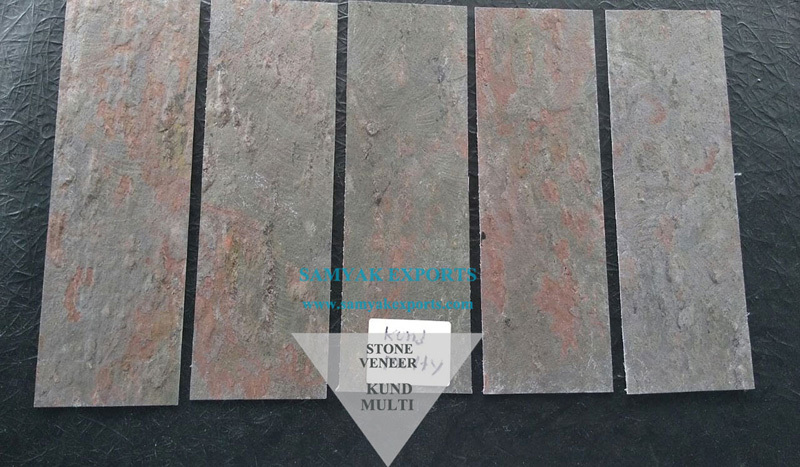 Being the largest national supplier and having worldwide export clients, we offer full supply & installation project packages and provide the best quality product at the most competitive prices available. 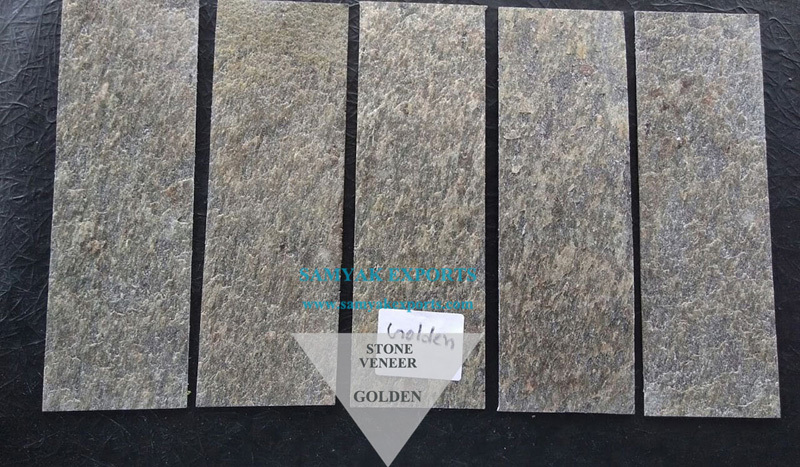 Our Stone veneers are ideal for both residential and commercial applications. As they are flexible they can produce multiple unique designs for wall and column features. 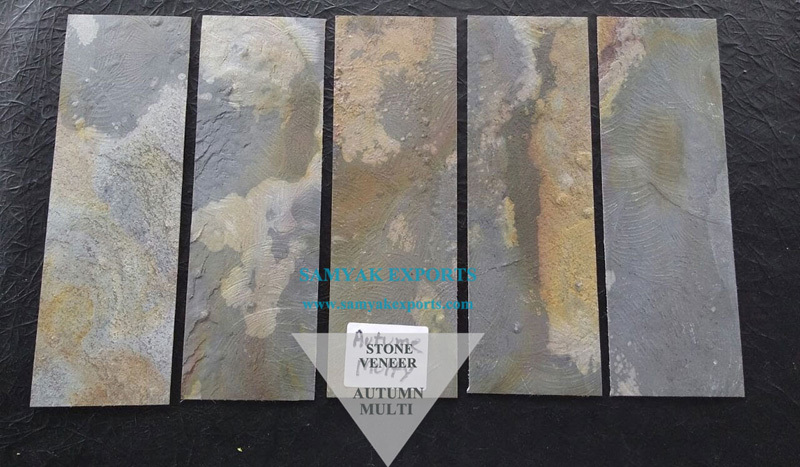 They offer an excellent alternative to slate, stone wall cladding and traditional slate tiles. 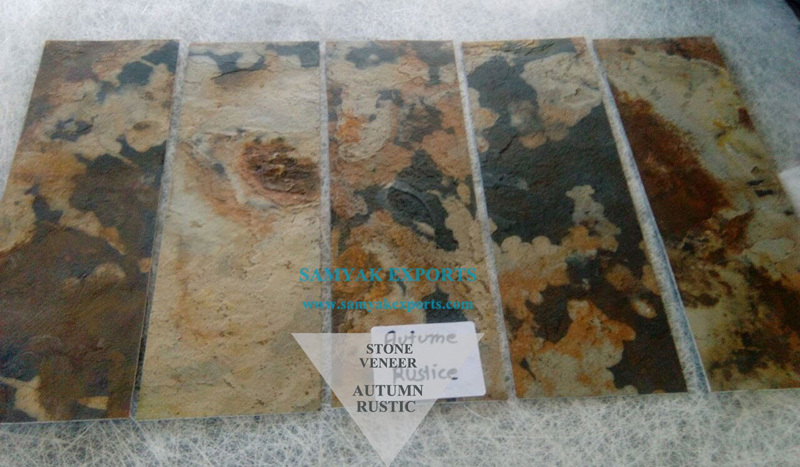 Being completely natural, they are a stunning alternative to stones used in kitchen, bathroom and slate tiles. 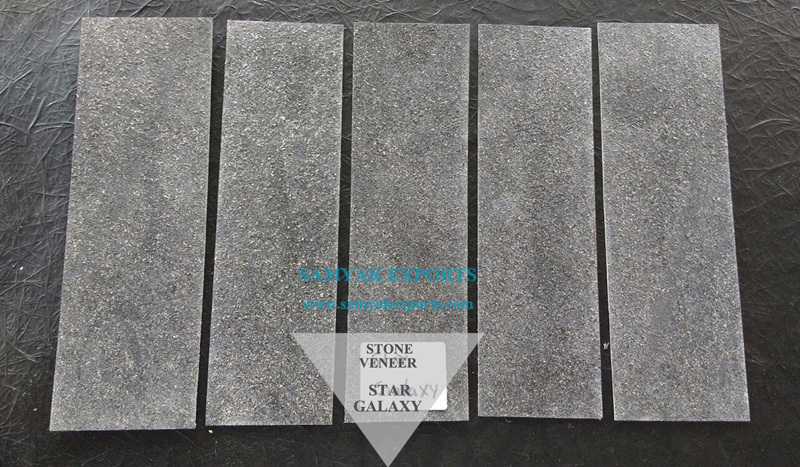 We stock different types and colors of slate and stone veneer. 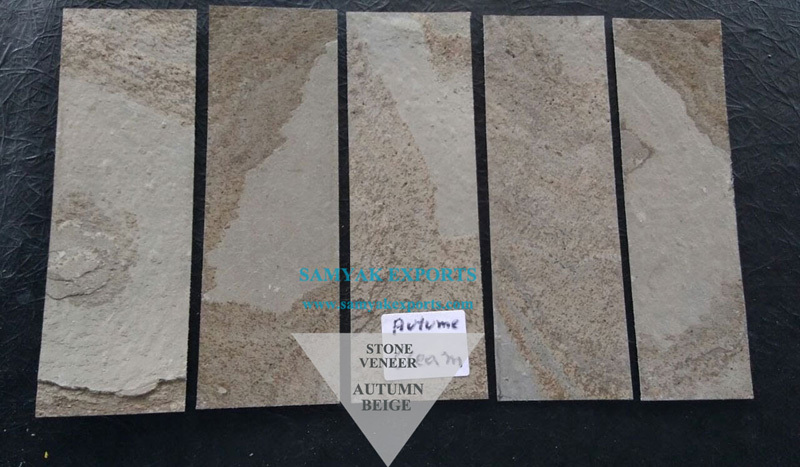 Know for the largest range, our products are of the best quality and most cost-effective prices in national and international market. Because of its unbelievable bendiness, it can be used in applications previously undreamt of. 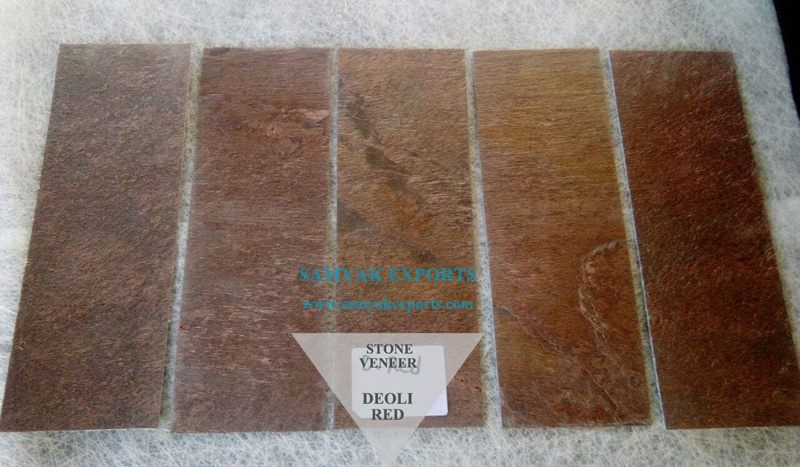 Talk of pillars, walls, ceilings, columns, furniture, and luggage, now all can look absolutely stunning and clothed. It has a unique form can be bent, cut and shaped to ﬁt any surface area, regardless of whether it is ﬂat curved or even a mix of the two. *Add unique classy look to Reception areas, entrances, boardrooms, hotel foyers, restaurants or any other interior area. *In residences, its uses extend to bathrooms, kitchens, hallways, bedrooms or anywhere that would beneﬁt from a striking, luxurious and altogether dramatic appearance. 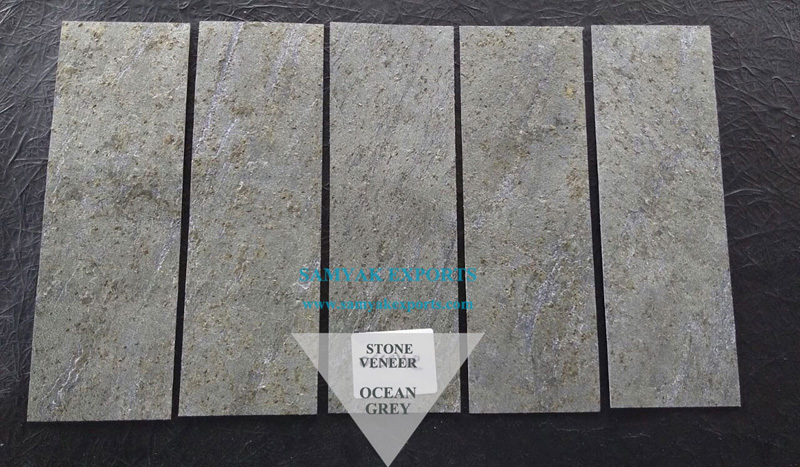 Anyone looking to add a top quality ﬁnish with a striking appearance and unrivaled ﬂexibility in use now has a new opportunity with our Stone Veneer. Being incredibly lightweight, it is simple and quick to install, saving time and money. Applied on wall using adhesive and easy to cut using tin snip or angle grinder. It is heat-resistant up to 120 degrees Celsius which means that it can be used in any place where there will be excessive heat generated, like the fireplace in your home. Can be columns, curved feature walls and curved corner units. It has the added advantage of being easy and economical to ship across any location, to store and handle. To top this, it is also 100% environment-friendly in production and sustainability. 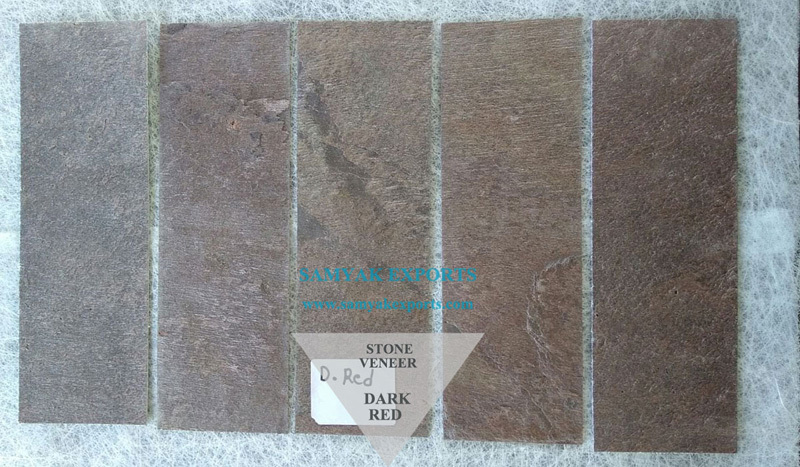 It is an extremely durable material which lasts for a lifetime very easily. It is weather resistant. 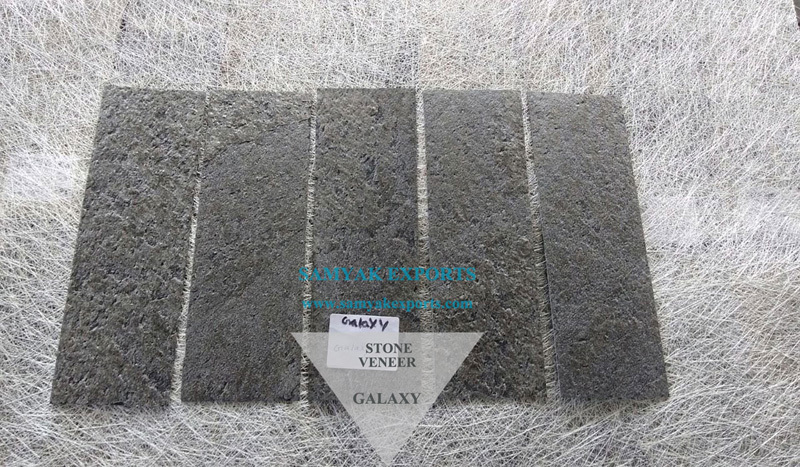 Through our commitment and service to our customers, Samyak Exports has grown to become the global market leader in state of the art manufacturing facility. We have an extremely skilled and experienced team on hand to assist our customers with both the design and technicalities of any project. Whether this is a fireplace, housing development, restaurant or an extension, we will apply our in-depth knowledge and exotic natural stones to match your requirements. 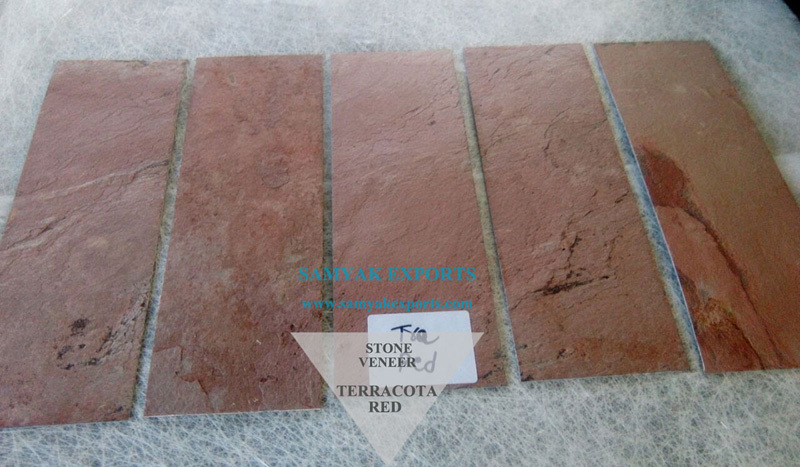 Please reach us for the best quote, sample products, catalog or further information.